As part of my BTEC course, I have to produce pictures for a number of tasks. Task 5 was about movement and I needed to get a ‘panning’ shot. I decided to go to the local Parkrun in Eastleigh to see if I could get a panning shot of the runners. It turns out it is more difficult than I thought. In order to get a blurry background, because the runners are relatively ‘slow’ you need to have a slow shutter speed… which in turn makes it harder to get a crisp shot of the runner. Better to have a fast moving subject and use a faster shutter speed. I did get one that I could use, but actually my favourite photo was the one below. 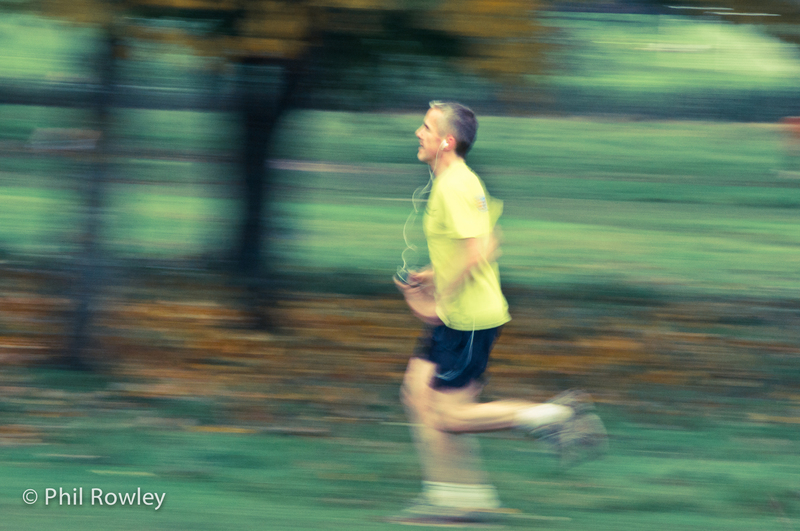 The runner is blurred, but in a way that makes the photo a bit surreal. I’ve added a preset from Lightroom just to add to that effect. Previous Article I’m In Print!